Since I am using the Bluetooth Keyboard and the Magic Trackpad, my MacBook Pro crashes during the sleep (it doesn't wake up and becomes very hot). Then I need to switch it off using the hardware on/off button. To recap. If I allow bluetooth devices to wake my computer, this makes my computer to crash randomly. If I disallow that option, the computer doesn't find the Bluetooth devices after the wakeup, sometime for several seconds. Did anybody found a solution for this problem? I am using a MacBook Pro (Late 2008) with Mountain Lion. 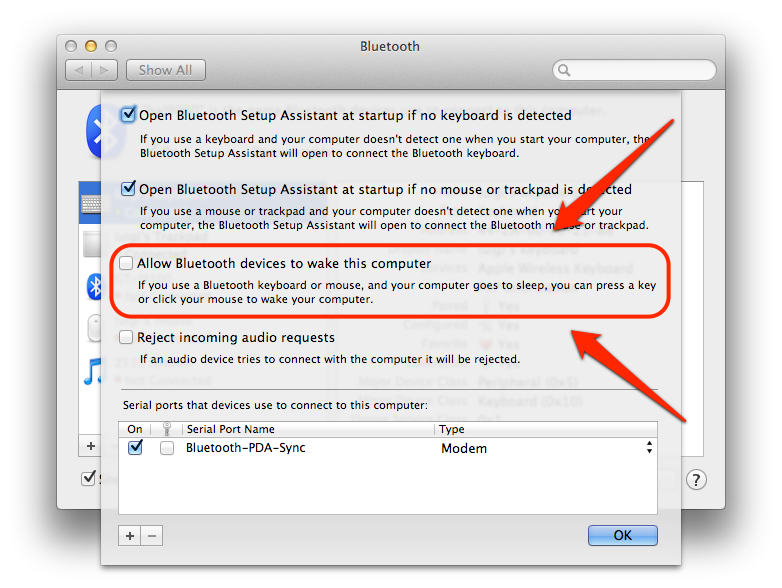 Browse other questions tagged mountain-lion macbook sleep-wake bluetooth .